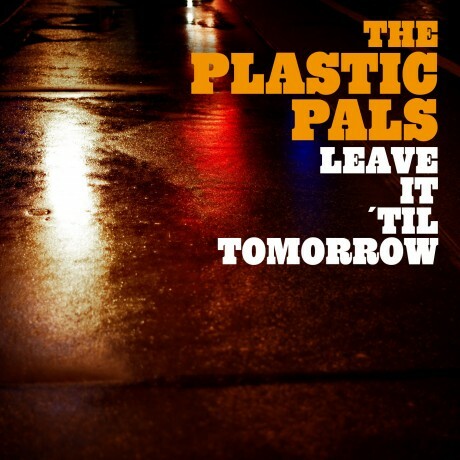 This Wednesday, April 4th, The Plastic Pals will release the first single from upcoming album April 4th – via all major digital music services. “Leave It ´Til Tomorrow” – available now for preview and pre-order via 7-digital – is heroin disco in the spirit of Velvet Underground and Bowie, according to pr company Birds will sing for you – that The Plastic Pals have partnered with for this release. Want your own copy? Just sign up for our newsletter and it´s just a click away. The tune is taken from upcoming new album – slated for release later this year – produced by Chris Cacavas from legendary Los Angeles desert rock band Green on Red. Cacavas also plays electric piano and a funky clavinet on this song, adding to the groove and to Hawk´s falsetto chanting. So go and grab yours at 7digital. It´s also available via Itunes, Emusic.com, Spotify, Wittyfy, Rectify, Whatthefuckify – and what else they call all the outlets in this new world of music distribution. But hey, the easiest way to get it is by the simple procedure of signing up for our newsletter. Just enter your e-mail address and your just a click (or two) away from getting this tune as a welcome gift! Posted on Monday, April 2nd, 2012 at 7:56 am.